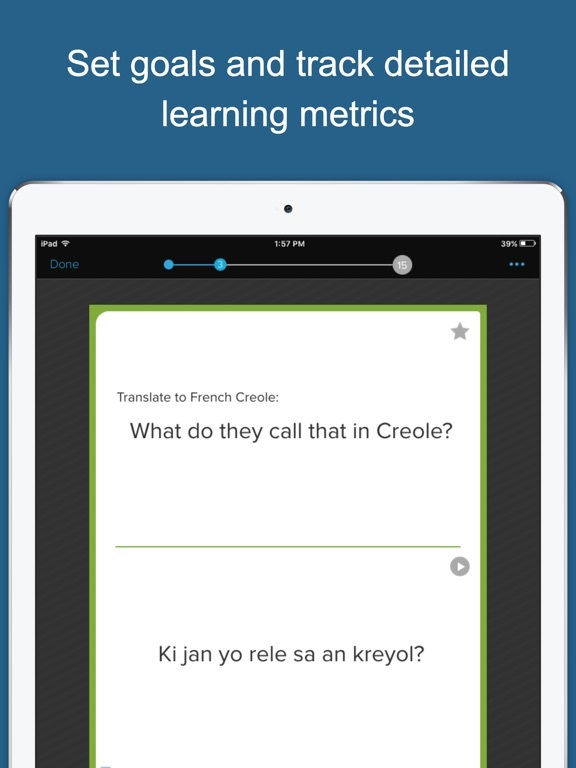 COMMUNICATE MORE EFFECTIVELY with this 200+ phrase crash course in French Creole. 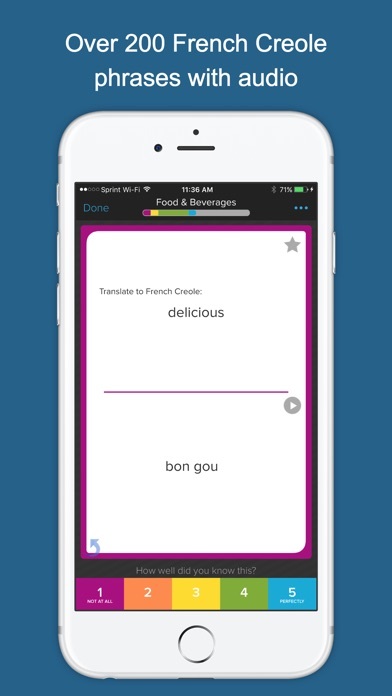 Created by Burn Advocates Network using the Brainscape platform, this app will drill you on the most essential words & phrases FASTER than any other app, using the latest in Cognitive Science techniques. 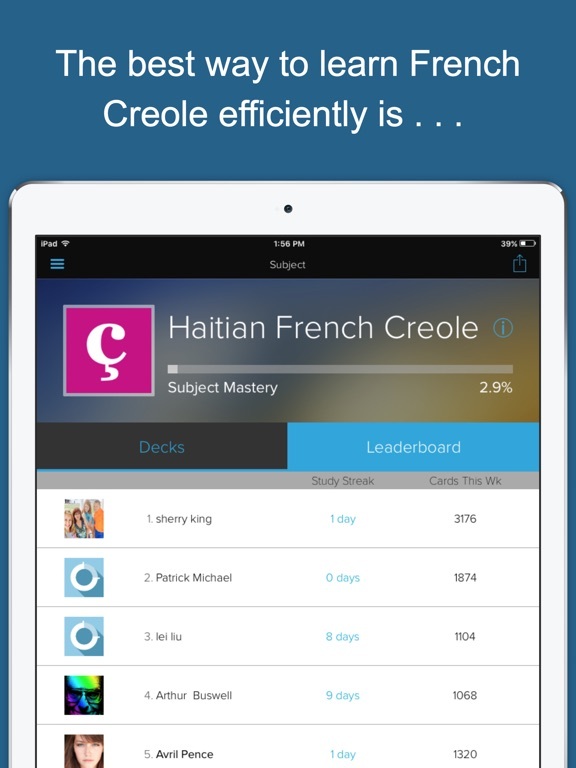 French Creole for Aid Workers is a key tool for any volunteer who travels to Haiti for aid work. The cholera epidemic presents needs with comparable urgency but unprecedented logistic and communication challenges. Standard French becomes less useful as relief workers travel to remote villages where only Creole is spoken. The Brainscape team behind this software is made up of cognitive scientists and language specialists formerly with Columbia and Yale, as well as former executives from The Princeton Review and Kaplan. 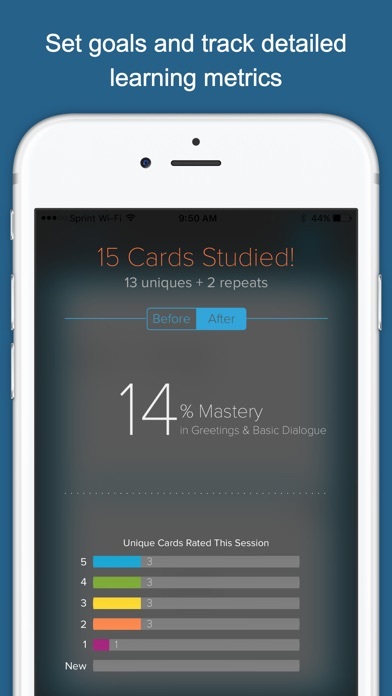 Brainscape's mission is to make learning easier and more convenient using a scientifically optimized flashcard repetition algorithm, rather than creating frivolous games or distracting quizzes to try to make learning “fun.” It is a perfect complement to one of sponsoring organization Burn Advocate Network's core values: Delivering aid more efficiently through personal attention and effective COMMUNICATION. This app provides an indispensable "primer" for any new or veteran aid workers interested in better understanding the needs of and developing rapport with patients and local care givers. 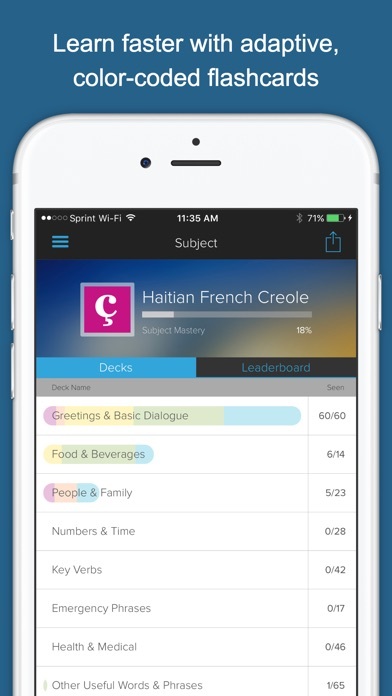 The app will be refined as needs and experience dictate. 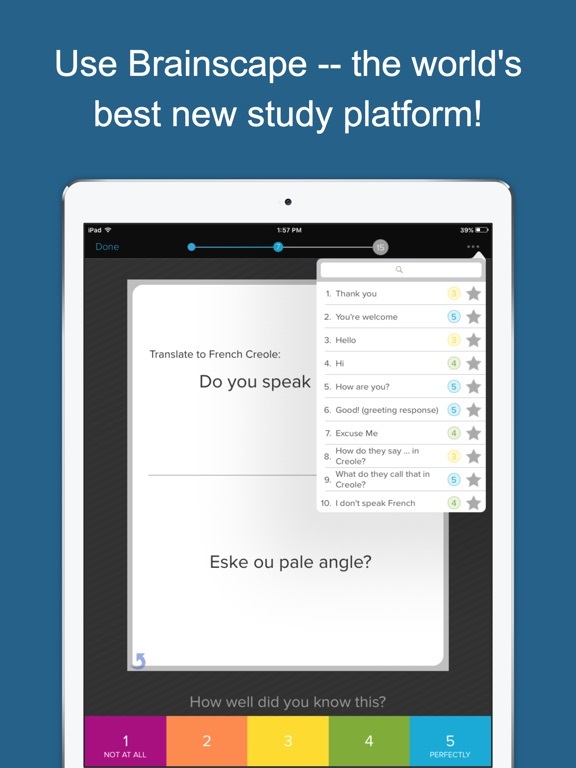 Please provide feedback wherever you can, and be sure to visit Brainscape and Burn Advocates for more information.